I know a local guy who runs errands. True story. He does the kinds of jobs you wouldn’t see a courier service do because it’s not their line of work. This guy did everything from making grocery trips for seniors to picking up medications, dropping off garbage, checking the mail and a whole lot of other tasks. He was also making money at it. So I’m thinking, since most of his clients were elderly wouldn’t it be a logical line of work for a semi or fully retired senior? Let’s look at what setting up your own personal errand running business can possibly generate in income. My friend charged an hourly rate, instead of charging a ‘piece meal’ flat rate per task. He had a lot of different packages he provided and they were typically set out in a monthly program which would include things like two grocery trips a month, two pharmacy visits a month, regular mail pick up and so on. He had only a handful of clients but he was busy running errands almost every day and only for part of the day. He was making around the national average of $25 per hour. If his errands required a lot of driving from place to place to complete a task, he also charged for mileage. Still interested in giving this opportunity a second look? It won’t cost much to get started in the personal errand business as you’ll basically need a reliable vehicle and a cell phone. You probably already have those so next you’ll need to promote your service to get the word out and that can be done in a number of different ways ranging from telling all your friends to flyers, posters and advertising online and in local publications. The best part about starting up a personal errand service is that you really don’t need special skills or training to do it. 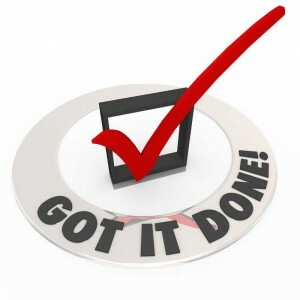 There are a few things you will need to have and that include common sense, honesty, patience and organization. If your clients end up being mostly elderly you’ll need to keep the patience handy and if you end up running a number of different errands for a few different clients, you’ll need some way to keep the jobs in order so you don’t accidently forget that Mrs. Jones wanted you to pick up her prescription on Tuesday and Mr. Smith wanted you to pick up his mail on Friday, not the other way around. Some of the benefits you’ll get from your personal errand service include being your own boss and taking control over when you are available to take on contracts and how many jobs you are prepared to do in a day or week. It also provides you will a simple extra income coming from providing a helpful assistance to those who may not have the mobility or ability to take care of these tasks themselves. 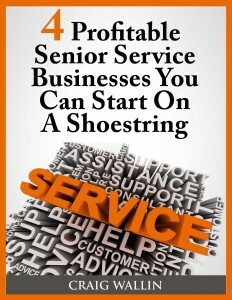 Is A Senior Service Business Right For You?